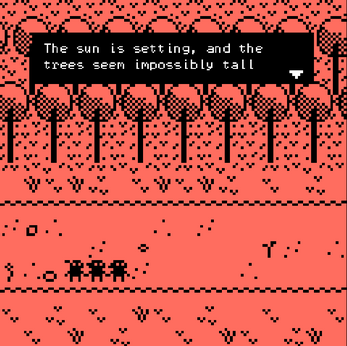 A tiny Bitsy vignette game about spotting glow worms in Broxbourne, Hertfordshire, England. 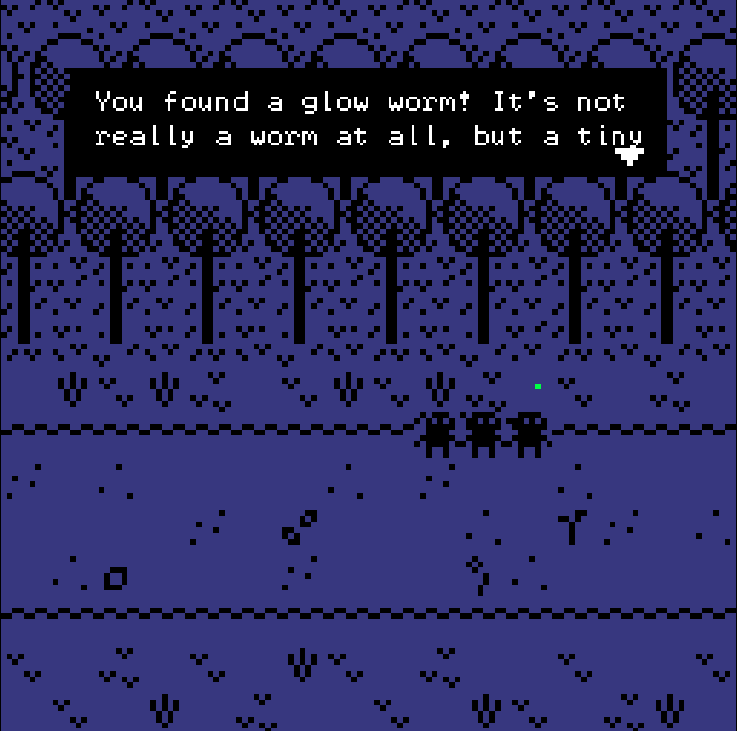 You may or may not learn Glow Worm Facts. 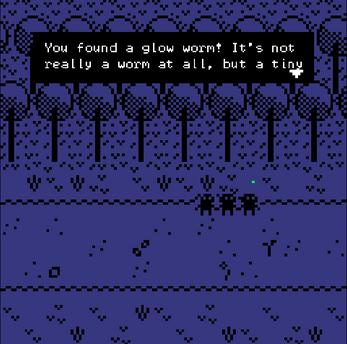 You can find out more about glow worms in the UK here. Hey, the 57mb wav file in the embedded game makes it slow to download, have you considered converting it to an MP3? Oh! 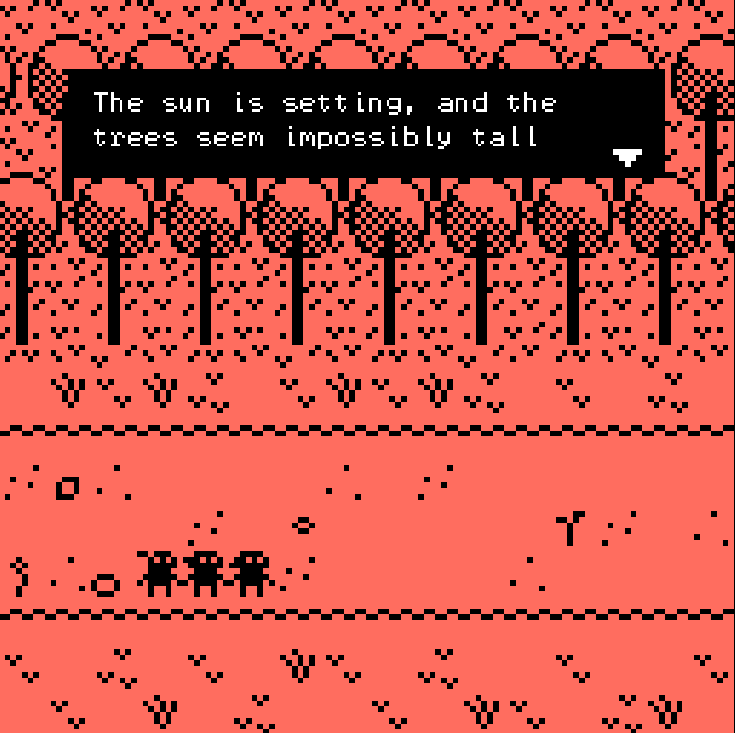 Yep, that makes a ton of sense, will do so today.